100 years ago, on 13 March 1915, Private Frederick Nicholls of the 1st Battalion, Bedfordshire Regiment (Service number 10250) died at the Battle of Neuve Chapelle, ten miles to the south-west of Lille. He was 21 years old, one of the nine children of Frederick and Mary Nicholls, who lived at 182 Simpson Road. 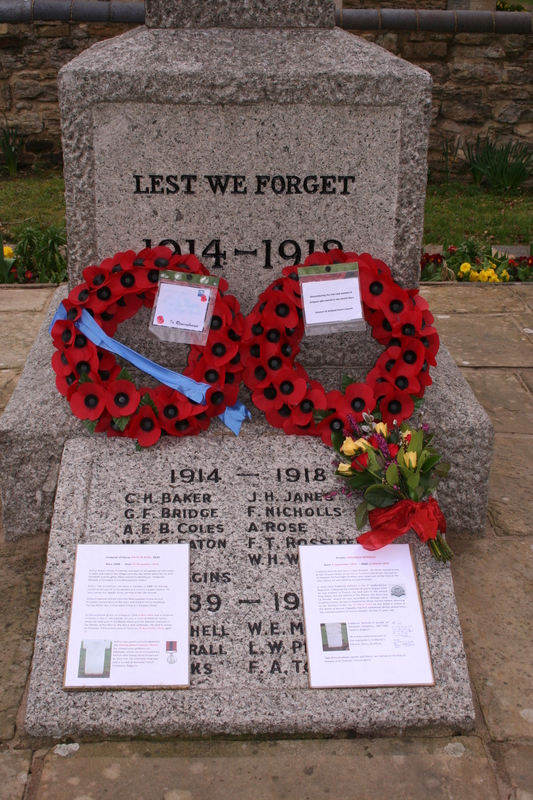 Frederick Nicholls was commemorated this morning at the war memorial at Simpson which bears his name. A brief Biography (FN) was placed on the memorial for those who pass by to read. It also appears on the ‘Lest we forget’ page on the Simpson & Ashland Parish website. 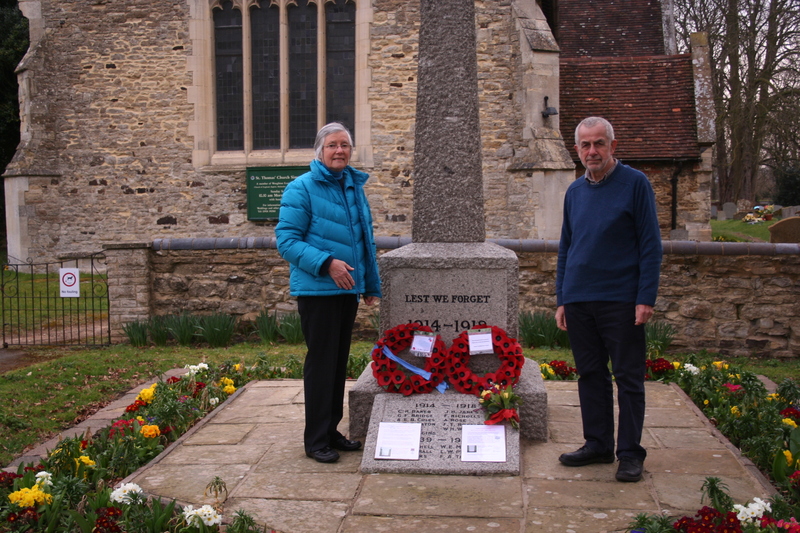 Lena Bates, from the Simpson Britain in Bloom group, placed a beautiful posy of flowers on the memorial, following the practice instituted in November 2014. I am very grateful to the members of the group who prepare these posies and also liaise with Milton Keynes Council over the planting and maintenance of the memorial. Their work on behalf of the community in honouring those who served and died in both World Wars and, more widely, ensuring that Simpson is an attractive and cared-for environment is widely appreciated. It will feature in the Heritage section of Simpson’s submission to the Britain in Bloom awards this summer.